Traditionally, farming provides foods, money and shelter to several rural households and enables support for other members of the society – subsistence farming provided this support for a long time before the advent of commercial farming. Traditional farming focused on food crops and reliance on indigenous knowledge, traditional tools, organic fertiliser and cultural beliefs. This type of farming promotes the cultivation of crops grown wildly, particularly fruits and vegetables which, became a staple of the food culture of the families in rural areas. In this type of farming, women are actively engaged in off-farm activities including processing food crops into various culturally acceptable foods, snacks and other non-consumable food items. The cultivation of maize for example encouraged women involvement in producing indigenous snacks like boiled or roasted maize, adun, masa or kokoro among others. These snacks are in addition to established food items like pap, tuwo, agidi, among other maize based meals. This creates economic opportunities for the women, empowering them by conferring some level of decision-making. Though the extent of the contribution of this empowerment on the dietary intake and nutrition situation of the early farming households cannot be established due to a paucity of data, the low prevalence of non-communicable diseases suggest a good nutritional profile. How did the status quo change? 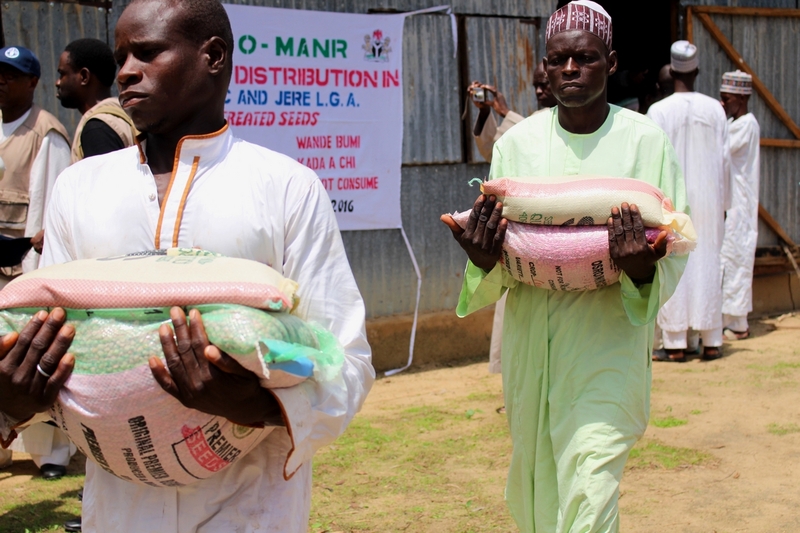 Reports have consistently shown that food producing households constitute the poorest and most food-insecure group in Nigeria. Pockets of studies have also shown a higher risk of malnutrition in farming households, with adverse consequences on health, work performance and productivity. Though farming remains a way of life in Nigeria, it is failing to lift farming households out of poverty and the worrisome effects of malnutrition. New technologies, innovations and ideas are daily thrust into the agricultural sector, but with little impact on economic, health and nutritional wellbeing. The commercialisation of agriculture is one of the many programmes introduced to revolutionise the agricultural sector, seeking to increase yields and enhance the income of farming households. Has the commercialisation of agriculture yielded the promised result? Based on anecdotal evidence, I would say yes; however, several unintended consequences have arisen, making many farming households worse off than they were prior to commercialisation. In 2018, a visit to a pastoral community in south-west Nigeria attested to this ugly truth. The community has benefitted from interventions to boost local milk production, shorten the milk chain and enhance the income of the pastoral households. The intervention yielded many community development indicators: mud houses and thatched roofs are disappearing and more houses are changing to brick and long span aluminium roofing; and motorcycles are becoming common assets, suggesting improvement in the socioeconomic status of the community. Household heads (primarily men) have wonderful stories to share about the lifestyle and economic improvement spurred by the project. However, the presence of women and children at the visit pointed to some neglected indicators – the children, for example, look sickly, displaying clear signs of malnutrition. A possible explanation to the observed scenario is the neglect of the gender consideration in the project. Traditionally, women are involved in collecting milk and processing it into to various snacks, such as wara – a local cheese – as well as fura de nunu – a local beverage made by combining milk with cereals. In the course of processing and preparation, these drinks or snacks also constitute part of the usual dietary intake of household members. These activities allow women to be economically active and enhance their decision-making power about what food to purchase and how to care for their children – as well as contributing to the family’s nutrient intake. But commercialisation interventions, which have linked the dairy company directly with the pastoral families, has caused a shift in women’s roles: the men became the milk collectors and suppliers and the women depend solely on what they get from the men for household food needs. Is the case always like this? No. events over the years have shown the need for the various stakeholders involved in commercialisation to work together, such that all segments of the communities affected are able to benefit from agricultural interventions. This suggests the need for the agricultural experts to work with counterparts in nutrition, water and sanitation, child care, social development and other sectors to ensure a robust intervention is planned and implemented. The Food and Agriculture Organization recognised this need and developed a 10-step approach to ensure that interventions in agricultural sector enhance nutrition situation of the beneficiaries. One of the key areas is the incorporation of nutrition promotion and education. In Nigeria, poor education and limited access to health extension workers mean that farming households have little opportunity to learn about good dietary practices. Agricultural extension workers could serve as a link to reaching these households and this calls for the need to enhance the nutrition knowledge and understanding of these extension workers. Nutrition education for farming households could focus on increased utilisation of several neglected crops, thereby promoting dietary diversity, adopting appropriate feeding and food preparation that minimises food nutrients losses, promoting personal hygiene and sanitation to reduce risks of infections which aggravates malnutrition, and adoption of practices that promotes the shelf life of food crops, fruits and vegetables thereby making them available all year round. Is this approach feasible in Nigeria? Yes, efforts by the Federal Ministry of Agricultural and Rural Development and some states’ Ministries of Agriculture are tweaked towards addressing the dietary gaps with innovations in agricultural sectors. To this end, training and re-training of agricultural extension workers and women in agriculture have been prioritised. Several nutrient-dense crops varieties have been integrated into the Nigerian food system and more interventions are underway following the development of the Agricultural Sector Food and Nutrition Security Strategy in Nigeria. Every new commercial agricultural intervention must include approaches that ensure the nutrition and health of the beneficiaries and other stakeholders would be promoted in an environmentally-friendly and sustainable way. To this end, Nigeria is on the right path though we may not be move at an expected speed.